A story of courage and risk-taking, House on Fire tells how smallpox, a disease that killed, blinded, and scarred millions over centuries of human history, was completely eradicated in a spectacular triumph of medicine and public health. Part autobiography, part mystery, the story is told by a man who was one of the architects of a radical vaccination scheme that became a key strategy in ending the horrible disease when it was finally contained in India. 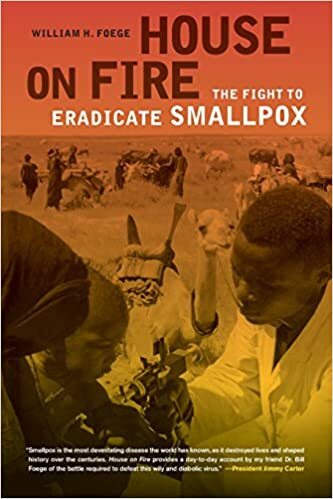 In House on Fire, William H. Foege describes his own experiences in public health and details the remarkable program that involved people from countries around the world in pursuit of a single objective—eliminating smallpox forever. Rich with the details of everyday life, as well as a few adventures, House on Fire gives an intimate sense of what it is like to work on the ground in some of the world’s most impoverished countries—and tells what it is like to contribute to programs that really do change the world.